WOW...we made it home after three exciting months in the Southern Hemisphere. I think most of you know that we made some changes in our living arrangements at the end of last year. Since 2003 we have lived full-time in our Hitchhiker 5th Wheel, traveling around the country and towing the trailer with a Ford F-550. When our 2008 cross country trip cost us $0.50 a mile while towing the trailer, we decided to leave the Hitchhiker in Montana and make other arrangements for a Florida winter home. In October we purchased a Montana 5th Wheel and a Honda CR-V, and sold the Ford F-550. So, now we have a trailer in Montana, a trailer in Florida, and an economical car to travel between them. So, that's the Montana 5th Wheel and the Honda CR-V on our RV lot at Wilderness RV Resort in Silver Springs, Florida. 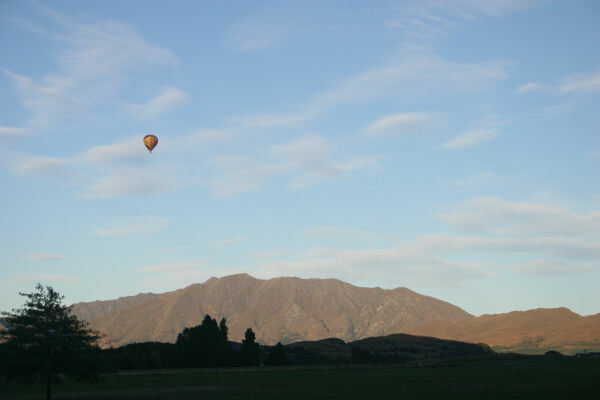 When we last wrote about our NZ adventure, we left it in Fiordland NP. Fiordland is pretty far down south on the South Island, so we still had quite a bit of time to go getting to Auckland, which is somewhat north on the North Island, for our flight home. 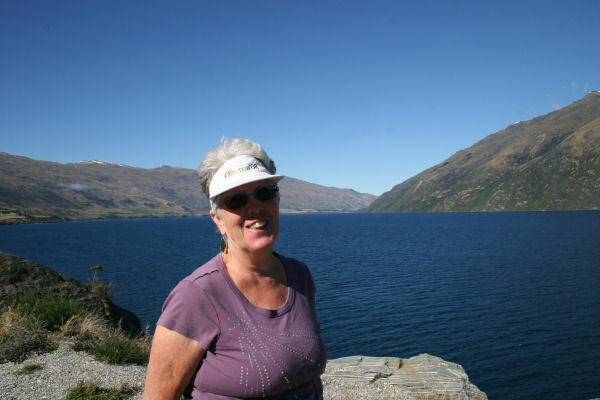 We left Fiordland and headed toward Queenstown. Along the way we came upon the Kingston Flyer, a vintage steam train, making one of it's twice daily 14km runs from Kingston to Fairlight. 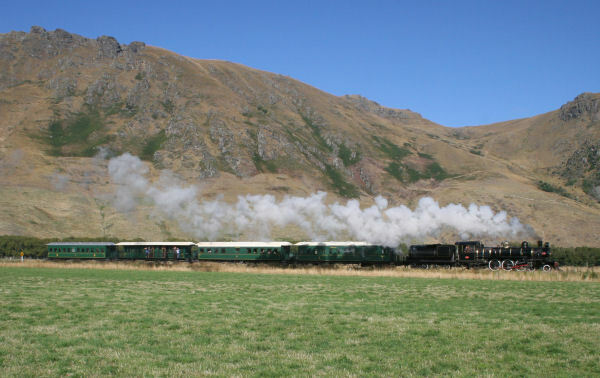 And who can resist taking a photo of such a train? A little further along, we stopped by a nice lake for a break, and Paula looked so great, I couldn't resist a photo. In Queenstown we visited a small park where they had several tuatara. 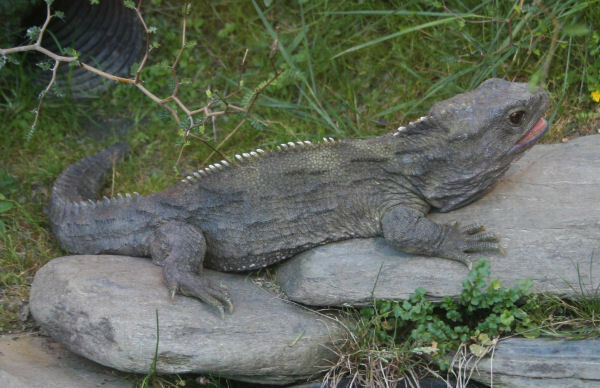 The tuatara is a reptile found only in New Zealand which, though it resembles most lizards, is actually part of a distinct lineage, order Sphenodontia. The tuatara is the only surviving member of this order, which flourished around 200 million years ago. During our three month adventure in Australia and New Zealand we drove 12,800 km, burned 1,135 litres of petrol, and took over 8,700 photos. We'll share more of them, starting with the glaciers, next time. For now, we are off to Tallahassee for medical appointments and then to Destin for niece Jessie's nuptials...so the adventure continues.